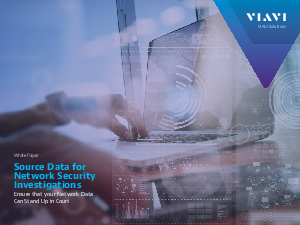 Increasingly complex networks, require more than a one-size-fitsall approach to ensuring adequate performance and data integrity. In addition to the garden-variety performance issues such as slow applications, increased bandwidth requirements, and lack of visibility into cloud resources, there is also the strong likelihood of a malicious attack. While many security solutions like firewalls and intrusion detection systems (IDS) work to prevent security incidents, none are 100 percent effective. However, there are proactive measures that any IT team can implement now that can help ensure that a successful breach is found quickly, effectively remediated, and that evidential data is available in the event of civil and/or criminal proceedings.